On each broad shoulder a bright star displayed. And three obliquely grace his hanging blade. 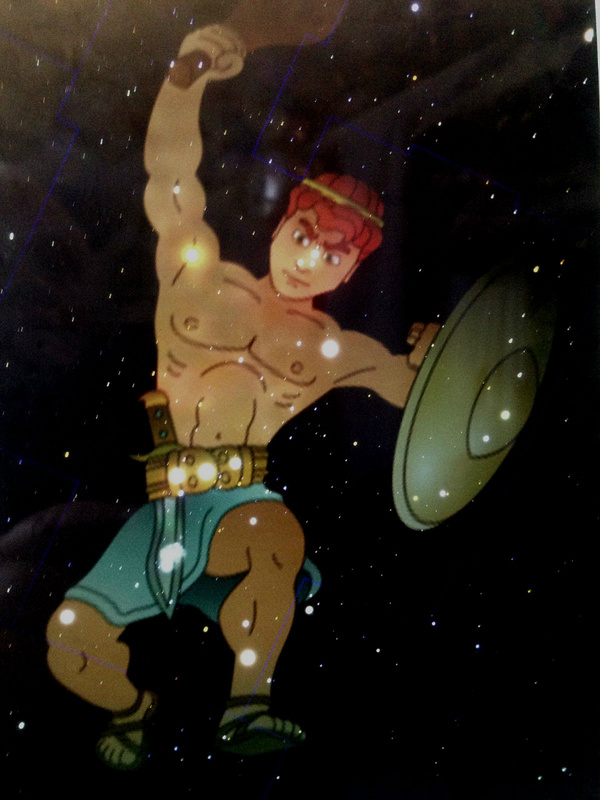 Thus grac'd and armed, he leads the starry Host. In order, let them sparkle in thy verse. and star groups. Earth's Centre through and in the other ends. And swiftly measure the vast space above. When mad for gain they fly to foreign Shores. And teach the Grecian Sailors how to steer. In narrower Circles she commands the Night. The other's Tail, pursu'd as they pursue. Make Seasons fruitful, and refresh Mankind. Present a Figure driving of his teams. A vigorous light, and darts surprising rays. The Monument of the forsaken Maid. Well strung, the sounding glory of the Skies. The Heaven consents, and moves the fateful Round. That war must last where equal Powers engage. That Form's reward by which he caught his Love. Now graced with stars his Wings stretched o'er the Skies. The Heaven with sacred Bolts, and arms the Skies. The Glory of the Flood and of the Stars. And yield unto the Basis brighter Ray. His rattling Car and fixed the Youth above."